At Travers Orthodontics, we believe that well-informed patients are happy patients! That’s why we strive to provide you with as much information as possible about your orthodontic treatment. Below we’ve answered some of the most common questions our patients ask us. If you still have questions after reading this information, please call our office at (972) 910-8202 so we can give you the answers you need. Orthodontists are dental specialists who diagnose and treat problems with the position, alignment or spacing of the teeth, and related irregularities in the face and jaw. Orthodontists, like our own Dr. Travers, use a wide a variety of braces and other oral appliances to correct these problems. Why should I (or my loved one) undergo orthodontic treatment? There are two good reasons to undergo orthodontic treatment: aesthetics and function. Having an attractive smile changes how people see you and how you feel about your own appearance. Orthodontic treatment also helps your teeth function better and makes it easier to keep them clean, for improved overall health. The American Association of Orthodontists (AAO) recommends that any child who may need orthodontic treatment should be seen by an orthodontist by the age of seven. Treatment may start at an early age or it can begin during adolescence or adulthood. The only way to find out when the time is right for treatment is to visit us for a thorough evaluation. How can I recognize a potential orthodontic problem? Does getting Irving braces put on my teeth hurt? What about wearing them? When Dr. Travers places braces on your teeth, it’s generally painless. You may have some minor discomfort during the first couple of days as you get used to wearing braces. You may also experience some tightness or discomfort when Dr. Travers adjusts your braces every few weeks, although this discomfort is short-lived. If need be, you can take an over-the-counter pain reliever to alleviate any discomfort you feel. How long will my Irving orthodontic treatment last? Treatment time varies from one patient to the next. However, the active stage of treatment (when braces or aligners are worn) generally takes anywhere from 6 to 30 months. After that, the retention stage of treatment starts when you’ll need to wear a retainer. How often will I need to visit Dr. Travers during my treatment? During your active stage of treatment, we’ll ask you to come into our Irving orthodontics office once every four to ten weeks, depending on the type of appliances you’re wearing. These appointments are designed to keep your treatment on track and are generally short and sweet! If your teeth are severely crowded (because your mouth is too small to properly accommodate all your teeth) or if you have impacted teeth (teeth that are trapped beneath the gum line or by other teeth) extraction may be necessary. For younger patients undergoing early treatment, tooth extractions are mostly unnecessary. If you’re wearing braces that are cemented to your teeth, you will have to be careful about what you eat. Foods to avoid include hard, crunchy, sticky, and gooey foods and snacks. If you’re wearing Invisalign aligners, you can continue enjoying all your favorite foods as the aligners are designed to be taken out of your mouth when eating. Will I be able to play sports and my musical instrument with braces on my teeth? Yes of course! When playing sports, we strongly recommend that you wear a mouthguard that will protect your teeth and braces. If you’re a musician, you can continue playing your instrument. However, it may take you a bit of practice to get used to playing with braces on your teeth. Do I still need to visit my dentist while I’m being treated by Dr. Travers? Yes, you do. In fact, visiting your dentist is more important than ever! It can be challenging to keep your teeth free from decay-causing plaque when you’re wearing braces. Your dentist and hygienist will help keep your teeth healthy and clean during your orthodontic treatment so don’t become a stranger to your friendly family dentist! Will I need to wear a retainer once my braces come off? Yes you will. If you don’t wear a retainer, your teeth can quickly shift back into their old positions, making all the time and effort you put into your treatment a complete loss. It’s super important that you follow all the directions we give you about wearing your retainer so you can maintain that fantastic new smile of yours for the rest of your life! 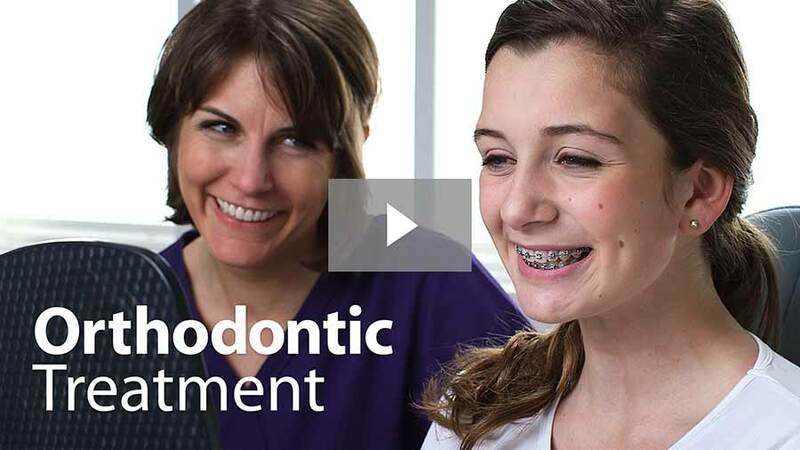 Orthodontic care is a long-term investment in your health and well-being. When compared to the actual costs involved of having problematic teeth, orthodontic treatment is a very cost-effective investment to make. Our practice accepts all orthodontic insurance plans and offers flexible financing options to make orthodontic care available to everyone. At Travers Orthodontics, we proudly provide exceptional orthodontic care to the residents of Irving and the surrounding Dallas, Coppell, Valley Ranch and Farmers Branch areas. If you’re ready to find out how we can help you (or your child) achieve the healthy and attractive smile you deserve, please request an appointment today. We can’t wait to welcome you to our office where we love creating amazing new smiles!